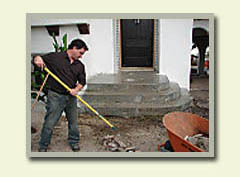 Do-It-Yourself Network’s, Rock Solid, recently filmed an episode which showcased the front steps of a spanish style, Ross Design renovation. Professional stone mason, Dean Marsico and Derek Stearns, installed reclaimed classic Chicago bricks on the front steps and landing. Ross Design Group was recently featured as one of Florida’s finest Residential Designers in the coffee table book, Dream Homes of Florida. The book showcases several of our remodel and custom homes and also included a feature article on design principal, Jim Ross. 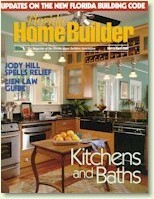 The article includes personal insight into how Jim followed his boyhood passion of designing homes. Ross Design Group was awarded the 2006 MAME Award for Beasley-Henley’s Villa Laguna in the Best Whole House Remodeling category. 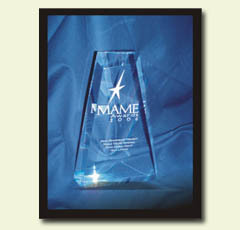 Jim Ross accepted the award at the Home Builder Association’s MAME Awards, hosted at the Renaissance Hotel, Orlando. Ross Design transformed this 3,000-square-foot ranch house into a 6,900-square-foot Mediterranean Revival style home. Ross Design has received several awards for this design and we are honored to have been selected as the residential designer for this project. 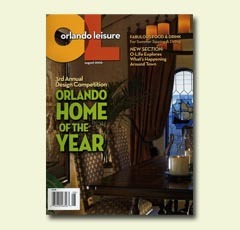 This year’s Orlando Home of the Year is a complete remodel of a 1950s-style Brittany Farmhouse. The 3,000-square-foot ranch house, located in Maitland, more than doubled in size to 6,900 square feet when it was transformed into a 1920s Mediterranean Revival style home with many Moorish, Spanish and Italian touches. Interiors were designed by Beasley and Henley Interior Design, Winter Park. The construction of this home was constructed by Winter Garden resident, Steve Cyr of Cyr Custom Homes, Inc.
Jim Ross accepted a design award for Villa Laguna during the Southeast Building Conference’s Aurora Awards in the category of Remodeling, Rehabilitation or Historical Renovation. The winning design was a complete remodel of a 1950s-style Brittany Farmhouse which was transformed into an authentic Mediterranean Revival style totaling 6,900-square feet which more than doubled the existing 3,000-square foot home. The home, in partnership with Sorenson Construction, is being constructed in Independence and will showcase Orlando’s first WFTV Concept Home to benefit The Russell Home. Click on a thumbnail image below to view pictures of the Concept Home. 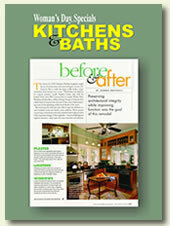 The article, "Before & After" exclusively showcased the home of Jim & Jennifer Ross. The article includes before and after photos of the transformation from a 1950’s one-story fish camp to a two-story Key West themed cottage. Ross Design Group was very excited about this "exclusive" and honored to be chosen. Jim Ross, designed the 2005 "New Southern Home" located in Maitland. The show home was showcased to attendees and several charities during the 2005 Southeast Building Conference held at the Orange County Convention Center. The original home was a 1950’s Brittany Farmhouse design transformed into an authentic Mediterranean Revival Style totaling 6,900 square feet. Interiors were designed by Beasley and Henley Interior Design, Winter Park. The construction of this highly anticipated show home was constructed by Winter Garden resident, Steve Cyr of Cyr Custom Homes, Inc.
Jim Ross accepted a design award during the Southeast Building Conference Aurora Awards for the renovation design of a Winter Park residence. The original 1950’s one-story home was transformed into a 2,400-square foot, two-story French themed cottage nestled under the large live oaks of Winter Park. 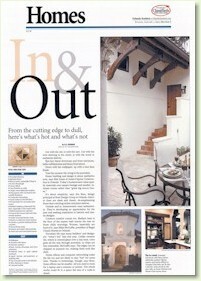 Ross Design was showcased on the front page of the Sunday Edition Homes Section. The article, "Disasters & Dreams" discussed how when a home is damaged it becomes an opportunity to remake it into the home you have always wanted versus repairing damage. The article features the home of Robert & Julie Breon, "Casa Del Rey" which Ross Design Group designed for the couple after an oak tree fell on their home making it inhabitable. The home was transformed from a 1950’s one story home to a 2,400-square foot, two-story French themed cottage. Ross Design Group accepted a design award during the Southeast Building Conference's Aurora Awards, for the renovation design of a Windermere residence. The original 1950’s one-story fish camp was transformed into a two-story Key West themed cottage. Joan Kohn’s "It’s Your Bed & Bath"
Joan Kohn, host of Home & Garden’s Television’s Bed and Bath Design, has compiled a book of beautiful design ideas for bedrooms and bathrooms. Ross Design Group‘s, Eola Historic Heights, bathroom remodel was selected exclusively as one of the projects featured in Joan’s book, "It’s Your Bed & Bath". 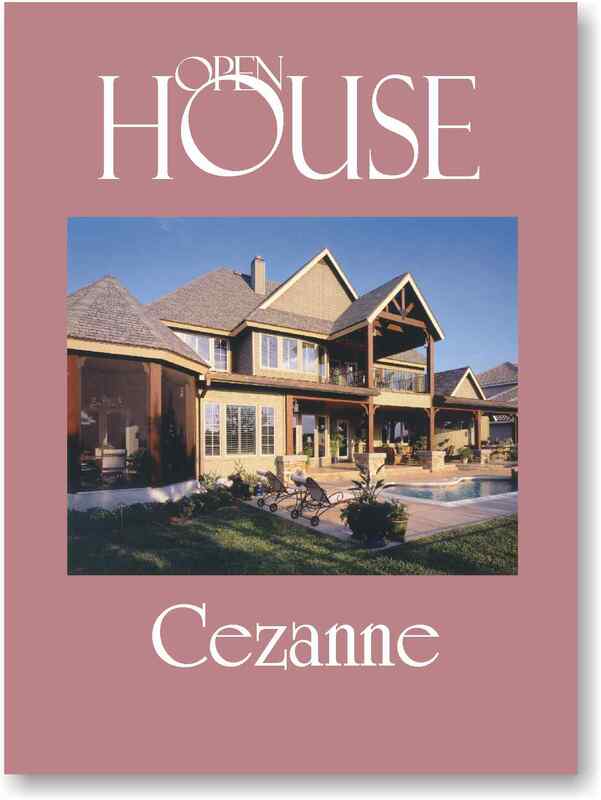 Cezanne, a French country themed custom home in Keene’s Pointe, Windermere, Florida was featured in the summer issue of Open House Magazine. This five-thousand square foot, two story home takes full advantage of golf course living and entertaining around the pool and lanai. 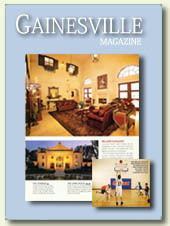 Gainesville Magazine's Apr./May 2004 issue featured the Snodgrass family residence designed by Ross Design Group. A formal Venetian facade belies the family-oriented interior. This relaxed home features a 2,100 s.f. gym w/ a regulation basketball half-court, an exercise room and a pool enclosed on three sides by a Roman-style loggia. A guest suite shares access to the gym and pool. This original classic, Mediterranean inspired, home focuses on family entertaining around the courtyard pool and spa. This 4800 square foot custom residence was designed for Derrick Builders, Inc. and constructed within Orlando’s newest town, Baldwin Park. The two story home takes advantage of breathtaking sunsets while overlooking Baldwin Park’s beautiful landscaped park and stream. Torre dal Verde will open during the 2004 Spring Parade of Homes April 25 – May 9. 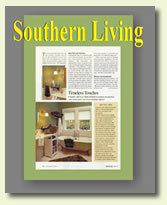 September’s issue of Southern Living Magazine featured one of Ross Design Groups award winning homes. 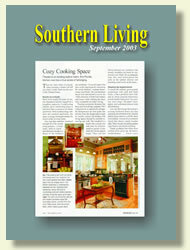 The article’s title, Cozy Cooking Space focuses on the renovation of an Orlando historic home remodeled by PSG Construction, Inc.
Ross Design Group was awarded the Grand Aurora Award at the 2003 Southeast Building Conference Aurora Awards in the category of Remodeling, Rehabilitation or Historical Renovation. The winning design was a renovation of a 1950's Winter Park ranch style home which was transformed into a historically correct two story 1920's style Mediterranean home. 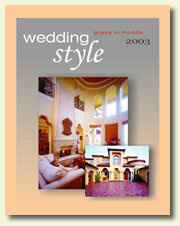 Ross Design Group's Villa Valletta and Casa del Rey were published in Grace Ormonde Wedding Style 2003. The article, "Building your Dream Home", offered advice for designing and building a custom home and suggested that working with a talented team of professionals is the key to ensuring your dream home becomes a reality. An article in Women's Day Specials Kitchen & Bath highlighted the kitchen transformation of the Poole Residence in Orlando's Eola Heights historic district. The article focused on the challenge of improving the function of the room while preserving the architectural details that give the home its historic charm. November’s issue of Southern Living features the remodeled Winter Park, Florida residence of Robert and Julie Breon. The original 1950’s ranch style home was completely transformed into a classic Spanish Mediterranean design. Jim Ross offers helpful tips to the readers: “where to splurge and where to conserve.” This 2400 square foot home, known as the Casa del Rey has recently been added to our Custom Home Collection, the second printing of our latest design portfolio. The Breon’s home was renovated by IBK Construction, Winter Park. 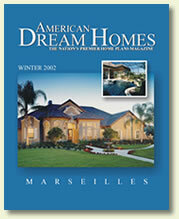 Ross Design Group's Marseilles model is featured in the Winter 2002 issue of American Dream Homes Magazine, a Hanley-Wood publication. This two story, 3857 square foot residence has five bedrooms, four baths specifically designed for shallow building depths of sixty feet. 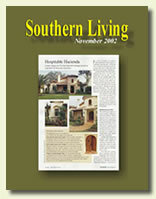 The October 2002 issue of Southern Living Magazine featured the award-winning historic rehab of the Poole Residence. The article focused on the bathroom and noted the great lengths Jim Ross of Ross Design Group went to, as well as Stephen Gidus of PSG Construction, to ensure that the historical heritage of the 1925 bungalow was preserved. 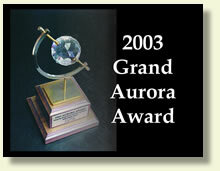 Ross Design Group were awarded the 2002 Aurora Award for the Breon Residence (Casa del Rey)in the Single Family Home Restoration category. Jim Ross accepted the award at the Southeast Building Conference Aurora Awards banquet hosted at the Rosen Centre Hotel, Orlando. The original 1950’s ranch style home was transformed into a classic Mediterranean design. The Casa del Rey won First Place in the American Institute of Building Design (AIBD) & Garlinghouse Design Competition at this year's AIBD annual conference hosted in Colorado Springs, CO. The home was awarded this prestigious honor for design creativity in the Single Family Home Renovation category. Ross Design Group's Casa del Rey was featured in the summer issue of Open House Magazine, a semiannual interior design and architecture magazine. The article focused on the open floor plan and elaborate details of this 2500 square foot Mediterranean style home. 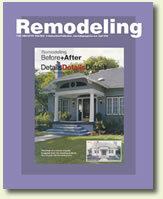 The April 2002 issue of Remodeling Magazine featured the award-winning historic rehab of the Poole Residence. The article noted the great lengths Ross Design Group went to, as well as PSG Construction, to ensure that the historical heritage of the home was preserved while nearly doubling the living space. Click here to view web link. Florida Home Builders Association produces their trade magazine with Ross Design Group's Eola Heights Historic Model on the cover. The Kitchen of the Poole residence, photographed by Everette & Soule', made a tremendous cover image. 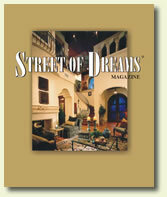 The Street of Dreams magazine features luxury homes with outstanding architectural details. The Waterbridge was featured in the Spring 2002 issue. In previous issues, the Villa Valletta was featured as "a modern Mediterranean villa" and Casa Bella was praised for being "a truly spectacular home". All three of these homes are included in our Custom Home Collection portfolio. Ross Design Group was honored to recently be on the cover of the Homes section published weekly in the Sunday edition of the Orlando Sentinel. 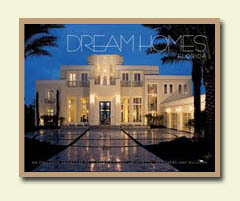 Two original Ross Design custom homes were featured, Casa del Rey and the Casa Bella. The writer interviewed Jim Ross for his input on the article, which focused on cutting edge home design. 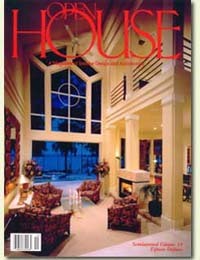 Ross Design Group is honored to be featured on the cover of Open House Magazine. The Waterbridge is featured on the cover of the bi-annual publication. This home is constructed on lake front property in Windermere, FL and is also featured in our Custom Home Collection Catalog. Open House Magazine is available in bookstores across the country. 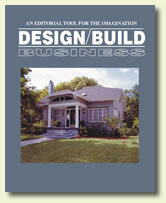 Design/Build Business Magazine featured a story on the Poole's home. We are excited to be recognized in this trade magazine, sharing the insight behind historic remodeling.